Everyone knows that I love probate investing. I like to call this the “Low hanging fruit”. In fact, I think every real estate investor should learn probate investing. So why do I say that? Because those folks that have inherited a house, almost never want the property; they only want the cash that is sitting in the property. In almost every case they have inherited an unwanted property that they now have to unload. There is a big misconception among real estate investors even seasoned investors that probate investing is difficult; that it is somehow “mysterious” but that couldn't be further from the truth. If you want to learn probate investing, all you need is a basic understanding of the process and the terminology. It is a great niche with a whole lot less competition than many other niches. My buddy Justin Williams over at House Flipping HQ asked me to write a series on “Probate Investing” for his site. Over the next couple of weeks, I will be sharing those posts with you. Today is Part 1: Understanding the basics. You can read Part 1 by clicking HERE….. I would love to hear from you. 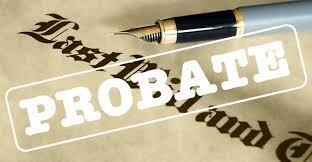 Is probate one of your niches? It's easy to learn! As a newbie, how important is it for me to have a website and a company name? How much more effective are your mailings with these two things (company name & website) included and how effective would they be without them?